Dads can feel very much on the outer when it comes to baby wearing hype. Of course, most mums have tried it, but dads certainly love to wear their new babies too. And what of the kids we’re raising, who also need to see examples of men wearing babies? 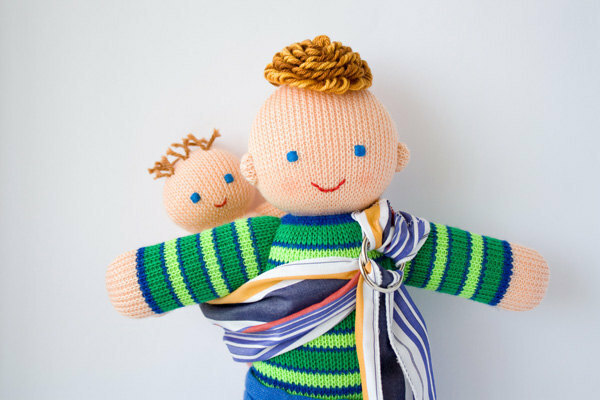 Etsy’s Freja Toys sells the most beautiful knitted babywearing daddy dolls – it immediately captured my attention and my heart and I emailed it off to friends who both wear their four-month-old baby son a whole lot. It’s a fine example to set to our little people, who might one day go on to have their own children, that babywearing isn’t just up to the female. 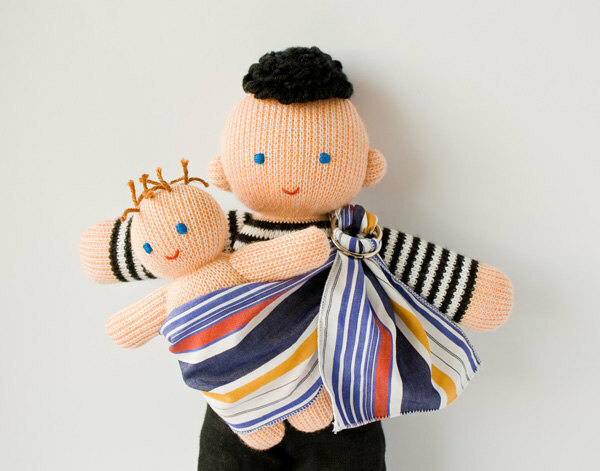 This lovely dolly comes with a knitted baby and daddy, plus a choice of ring sling or sling wrap. There’s a daddy doll with blonde hair or one with black hair. It’s $42 from Etsy’s Freja Toys. 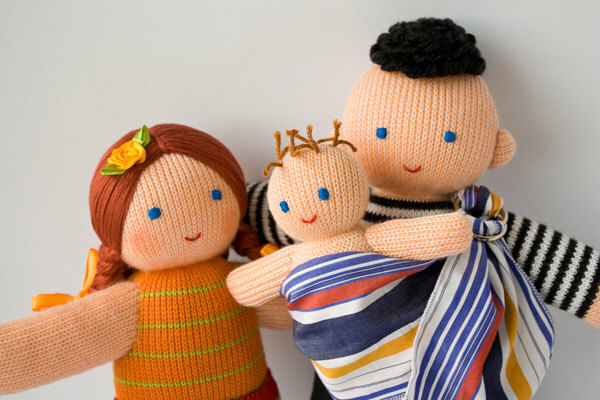 Add a mummy (or another daddy!) to the mix too, if you choose!